If you're in the market to buy ColdFusion, whether a full license or an upgrade from the prior release, you can get a discount off the retail (Adobe) price by buying from www.buy-adobe-software.com, which is a site by the fine folks who make FusionReactor, who are an official Adobe reseller. Why pay full price for CF if you can save, up to 10% currently? Even better, for a limited time (as of this writing in Mar 2015), folks making such a purchase of CF there will get 20% off a purchase of FusionReactor Standard or Enterprise Subscription, if purchased at the same time. Such offers come and go, if you may be reading this later. See my FusionReactor category of blog posts for more I've shared on FR over the years. 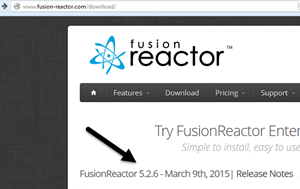 FusionReactor users will want to know that there was a new update released today, 5.2.6. 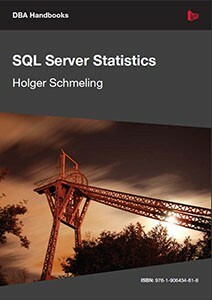 The update is free for those on 5.2.x releases as well as those with maintenance agreements. And you can just download the installer and run it to update your current version (even back to FR 5.0, if you've not updated FR 5 since you first installed it). How do I find out what's new in the update? Should I hesitate about applying the very latest FR update as soon as it comes out? How would you I know there WAS an update to FR available? Do I just need to run the full installer or can I update just one file perhaps? Do I need to restart CF (or Railo/Lucee/Tomcat, etc.) for the update to take effect? Can I update FRAM and choose NOT to update my monitored CF/Railo/Lucee/Tomcat/etc instance? Why do you keep referring to "CF/Railo/Lucee/Tomcat/etc"? I thought FR was a CF monitor tool? What if I'm on an FR version older than 5.0? For these and more, read on.